It’s hard to find a city much craftier than Pittsburgh: It boasts one of the longest-running indie craft shows in the Midwest and is home to a wonderful ecosystem of shows, shops and artisans. We asked the illustrious Al Hoff — the founder of Googly Eye University and the recipient of the 2017 Midwest Craft Con Memorial Fun Run Craft for the Cure Lifetime Achievement Award — to write her definitive guide to crafty stuff in the Steel City, and this is it. Who will be awarded the Lifetime Achievement Award in February 2018? 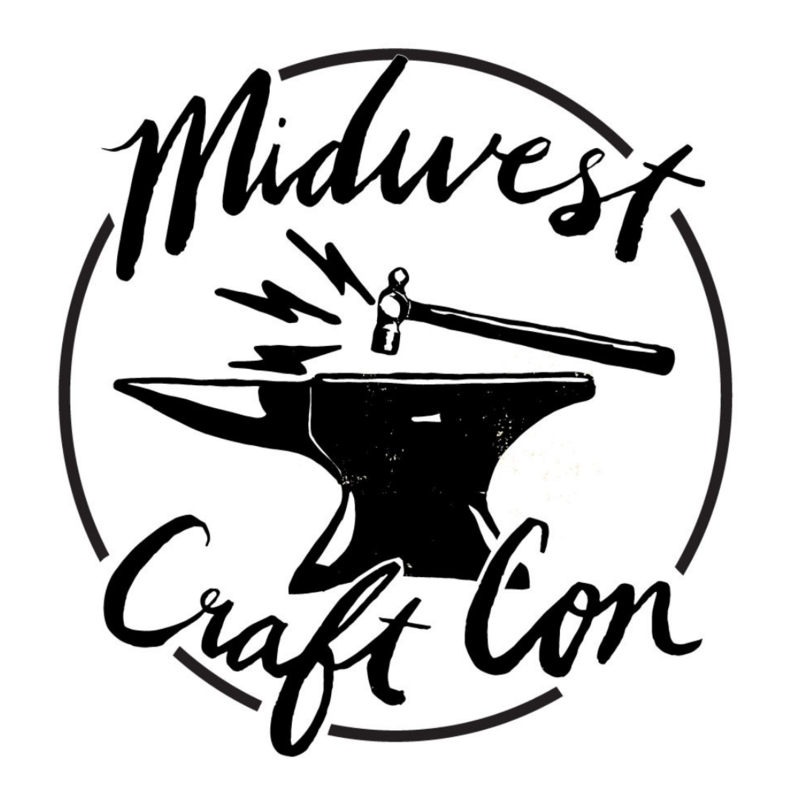 You’ll have to be at Midwest Craft Con to find out! New tees from @maptote gold ink on charcoal grey for grown-ups. black ink on baseball tees for kiddos! It’s a craft fair in a store! This charming shop has everything you need in greeting cards, paper supplies, jewelry, books, artwork, doodads, T-shirts and more. Special emphasis on Pittsburgh-area crafters. You can’t this big barn-shaped store just outside Pittsburgh, which provides a marketplace for local crafters and artists, selling everything from jewelry to housewares. The big space also serves as an arts and cultural center with a gallery, classrooms and a cafe. The decades-old space present contemporary art in craft media. Offers exhibitions of national and international artists in its gallery space, as well as classes, hands-on activities and a retail store. Located in the Strip District, which offers dozens of specialty food stores, everything from local sausage to fresh tortillas. The go-top spot when locals need a snarky T-shirt — to buy, or have made. Pittsburgh-proud rules here, with fun sports tees for the black-and-gold teams, but also shirts that celebrate neighborhoods, bridges and Pittsburgh’s infamous parking chair. Gettin them started young at Prototype PGH. Need to use a laser cutter or a 3-D printer. Gotta do some milling, welding, soldering or CAD? Need to learn how? Tech Shop is an open-access workshop which offers both classes and worker space, because making stuff isn’t all pink yarn and greeting cards. The newly opened female-run feminist makerspace provides ground-level entry for folks looking to get creative, or learn how to be. Classes and open studio time available. Crazy cheap memberships, and open to all. It’s the bargain bin of your dreams — a huge store filled with well-organized donated craft and assorted materials just waiting to be transformed into something else. Paper, fabric, plastic widgets, bits of wood, tiny toys, broken trophies and so on. The place for DIY screen-printing, lithograph and letterpress. Stop by on Tuesday and Thursday nights and learn how to do it. Then come back and make posters, greetings cards, T-shirts or whatever you want. AIR supplies the equipment and mentoring, you bring the ink. Self portraits are looking fierce at @ryanartstorox ! Pittsburgh’s first and largest indie craft fair. Started in 2004 with less than 50 vendors, Handmade Arcade’s annual show now features more than 150 vendors and a Hands-On Handmade area for interactive crafting and demos. The next show is Dec. 2, 2017! This long-running indie craft fair is nomadic, popping up in unused spaces several times a year. IMI offers shows tied to events as well as holidays, including Valentine’s Day and the winter shopping season. Held in downtown Pittsburgh in early June, TRAF features not only an arts-and-crafts marketplace, but also ancillary gallery shows, family activities, outdoor art (often eco-conscious) and a variety of nationally known musical acts. An outdoor family-friendly arts-and-craft fair held every September, in lovely Mellon Park (formerly the huge front lawn of a Pittsburgh industrialist) adjacent to the Pittsburgh Center for the Arts. A great way to meet arts and artisans while enjoying the (hopefully) sunny weather. Deejays and musicians come from around the world to shop at this massive vinyl emporium with the budget prices. It’s a Pittsburgh institution, and well located in the Squirrel Hill shopping district where you can supplement 12-inch purchases with baked goods, books and cheap Asian food. This bi-annual vintage fair is a don’t-miss affair, featuring local vendors setting up drool-worthy displays of clothing, knick-knacks, vinyl, housewares, books and more. Often paired with a preview cocktail night, this is a be-fabulous and be-social shopping event. These two long-running shops, located a couple of blocks apart in Shadyside, offer an amazing selection of vintage clothing. Everything you need from vintage evening wear and kicky 1960s beach togs, to jewelry and assorted accessories. A well-curated collection of vintage furniture, housewares, art and knick-knacks. The stock leans toward mid-century, but you’ll never know what you’ll find. A friendly brew pub where one can quaff on its signature Big Hop pale ale, plus seasonal beers. It’s a popular place for events such as Crafts and Drafts, which pairs a mini-marketplace with fresh pours. In a sea of bland chain coffee shops, local joints like this are to be treasured. Funky decor, friendly service, hot and cold drinks, plus pastries and panini. Basically, all you need. This well-preserved neighborhood bar has everything you want in an old-school tavern: neon sign, glass-block windows, cozy booths and a wooden bar. Cocktails are cheap, the mac-and-cheese is a must, and in warmer weather, take the fun times to the backyard patio. Vegan restaurants don’t need to be bland salads and blocks of tofu. Apteka transforms traditional Eastern European comfort food, like pierogies, into unique and tasty vegan fare. Add in an inventive cocktail program with housemade shrubs and syrups, and it’s a great evening out. Need to take a road trip to check out Pittsburgh for yourself? Time your trip to a local indie craft show and make a whole weekend of it!